Discussion in 'Transportation' started by Once.Upon.A.Time, Feb 1, 2019. I am embarrassed and excited to admit this month will be my first time flying. Been to Disney World once, 9 years ago by car. This month my fiancée and I will be using Delta Airlines to get to Disney World. Our flight leaves JFK at 8:10am and says we should be in Orlando by 11:00am. What time would you suggest we get to the airport? On our return trip we need to be back at the Orlando airport by 3:15pm. What time would you suggest we leave CSR to get to airport. We do not plan on checking in luggage and we have carry ons. Any advice is greatly appreciated. Also, I booked Magical Express before I had flight info, but now I'm just thinking of taking an uber to Disney. Do I have to tell Disney I'm not going to use Magical Express or just never update the flight info? How exciting to be taking your first flight! I think that taking Magical Express will be easiest for you and get you immersed in Disney right away. If you elect not to use it from the airport, you don’t need to cancel. However, if you reserved it to the airport from your resort, you do need to cancel, if not using it. 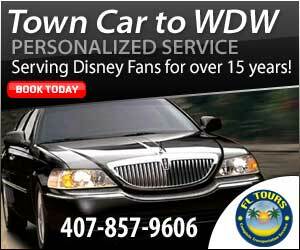 If you ride the Magical Express to the airport from your Disney resort, you will need to give them your flight info. Their bus will pick you up at least 3 hours before your flight’s scheduled departure time, and there will be a voucher slipped under your room’s door the day before, which will give an exact pick up time. That time is when they pull out, so be there about 15 minutes earlier. If you don’t take the bus, plan on being at the airport at least 2 hours before your flight time, as the TSA lines in Orlando can be long. Allow about 40 minutes by car. MousetersInc and need2travel like this. I always make sure I am at the airport 2 hours prior to flight time -- but that's MIA and American Airlines, which has super-easy and efficient curbside checkin. If I were flying another airline which did not have curbside baggage check, I would get there earlier because I know I would have to stand in line to check my luggage before I stand in line for security. Fortunately, you will NOT be checking luggage, so you don't need to be there super early -- but I would still go two hours before. Security will take some time and you apparently don't have Pre-check. One thing I do to speed the process -- before I get in the security line -- is to put all my "stuff" IN my carryon. By that, I mean phone, wallet, watch, keys, money, etc. Then, when I get to the conveyor belt, I just throw my carryon on the belt and go through the metal detector. That saves time putting junk in a bin, retrieving it at the other end of the belt, and avoids the risk of forgetting something. Once you are through security, you have to get to your gate. JFK is a big airport and getting to the gate may take longer than you think. Also, flights start boarding 30-45 minutes prior to departure and you don't want to be the last to board if you can avoid it. And you darn sure don't want to be sprinting to the gate before they close the door! I drive for Uber/Lyft in Miami -- but I would take DME. DME is free, easy, and as shoreward mentioned above, part of the Disney experience. If you decide not to, there is no need to notify them -- no harm, no foul. bookbabe626 and VAfamily1998 like this. I completely agree, but just wanted to give you a heads up that in the last year or so, they've started requiring passengers to take small electronics (anything larger than a cellphone) out of their carry on and into one of the plastic bins. So if you have a kindle, Ipad, small video game (like a Nintendo Switch) you will need to take them out of your carry on. The Delta terminal at JFK is super easy to navigate & security usually goes pretty quickly (for a major airport that is) but to be on the safe side make sure you arrive about 2.5 hours early for your flight. Enjoy your trip! Thank you. besides liquids what is and is not allowed in a carry-on? From what I read are razors not allowed in carry-ons? Thank you. I don't fly often, but I've always just referred to the TSA website to make sure I'm not violating any rules haha. Disposable razors are fine. mco65 get busy living, or get busy dying! I would take DME... my wife and daughter took UBER today from MKE to DtD and it was $32... IMO, your disney vacation starts once you get on DME.. its really worth the trip. JMO. Thank you, now just to buy the airline approved liquid bottles lol. I also use a Neti-Pot with the salt packets. Just checked website, says salt is okay for carry-on? Anyone know for sure? Thanks again. Thank you, seems everyone likes DME. Perhaps I will book it. Thank you, that's an idea too. Disney does not have my flight info because I booked my hotel before flights. How do I add this info? I already got my Magical Express information in the mail. Also, what do they do with your carry on luggage when you get on the bus? Thank you. If you have a larger carry on bag they will stow it under the bus for you. And it is customary to tip the driver for handling it. For a smaller bag you can take it on the bus with you. If you have Magical Express - how did you arrange this? I am assuming Disney then does have your flight info? Don't have any tiny scissors in your make up bag. Not many people do, I did forget once to put it in my luggage and it was taken from me. My cousin once had some expensive make up/it was just slightly over the size required - they took this away from her. Not sure which direction you are coming from going to JFK and what time your flight is - allow time for the Belt Pkwy - always so much traffic. When I booked the my resort and DDP and theme park tickets it asked me if I wanted Magical Express. I said yes but I never added flight info. But they sent me my magic bands and magical express paperwork. When I login to the Disney experience it doesn’t seem I can add flight info. Not sure how to do it. Thank you. From what I read are razors not allowed in carry-ons? Thank you. This is where wording means everything. Modern disposable razors/shavers are perfectly fine in carryon. What throws us is the specific phrase they use. A “safety razor” means the items created after we were done using those sharpened blades with a fold out handle. The “safety” part was now you had a small razor blade that you screw into a smaller handle. That’s hardly safe to modern standards. Some people still use those. If your actual razor blades can come out, the blades can’t travel in the cabin. If you have a modern shaver with a carriage of blades that can nick you but not kill you, those are just fine. Be sure to check the toiletries. All they have to be is 3.4oz (100ml) containers and often toiletries are actually smaller than that. What does the paperwork say? Mine gives the phone number to change or add flight info. Just do that. You don’t need special bottles, they just have to be small (3oz) ones, and all your liquids have to fit into a quart ziploc bag each. Walmart sells tons of stuff in the appropriate size, and they also sell the correct-sized empty bottles. Especially if you’re just doing carryons, make sure you just have those small size toiletries and you’ll be fine. Do all the liquids or semi-liquids in one ziploc bag each, then use a second bag each for your non-liquid toiletries like powder or hair spray. I’d still do the travel size of even the non-liquids, just makes fitting everything into a carryon easier.